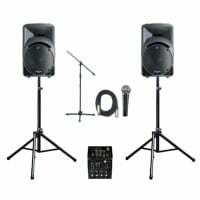 ​​Our most popular sound system rentals are our DIY DJ party sound systems. All our PA system rentals include the same proffessional equipment that would be used by a DJ if you hired them for the party. The difference is that we deliver the sound system rental to your venue, set it up for your party and train your own "DJ" friend how to use it. 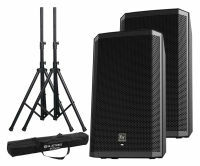 We have four (4) popular PA rental options to help make it easy to choose the right PA system rental for your party. We can also customize any of our speaker rentals. Delivery, set-up, training and pick up included in our pricing. Just tells us when and where! Don't forget the lighting! Must have the perfect sound system rental! All cables needed for system. $199 including Delivery, set up, pick-up and training anywhere in Colorado Springs. Monument and other areas higher. All cables needed for the system. 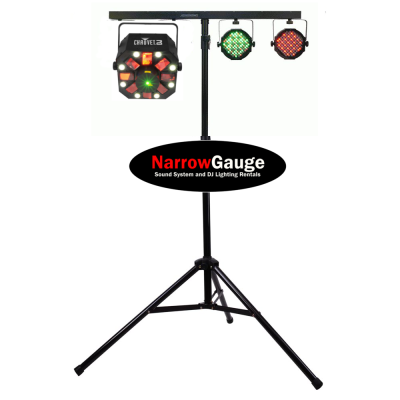 $229 including delivery, set up, pick-up and training anywhere in Colorado Springs. Monument, Pueblo and other areas slightly higher. Dance System 1​ is ideal for larger parties of up to 150 people. 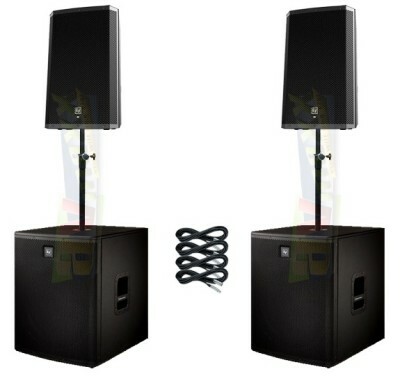 It is similar to Party System 2 but you get upgraded speakers that provide 2000 watts of power! If dancing is a priority and you don't want to add sub-woofers THIS is the ideal system! It is has better bass response and an overall better sound than System 1 or 2. Just plug in your phone, Ipod/Ipad or laptop and start the party! One (1) cable for your music players of choice: Ipod/Ipad mp3 player or Computer. $259 including delivery, set up, pick-up and training anywhere in Colorado Springs. Other areas slightly higher. 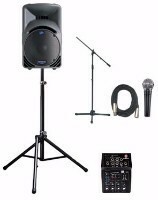 *This sound system rental is our most popular rental for wedding receptions and parties. Dance System 2 is the sound system system for you if want a dance party and want your guests to dance and celebrate all night long! Just plug in your phone, Ipod/Ipad or laptop and start the party! Ideal for parties up to 225 people. USB Charging station for your music device. All cables needed for system including extension cords. $299 delivery, set up, pick-up and training anywhere in Colorado Springs. Other areas higher, please ask for a quote. Are you ready for the party of a lifetime? Then rent The Ultimate Party sound system. The Ultimate system will ignite your party causing your guests to hear and feel the music. 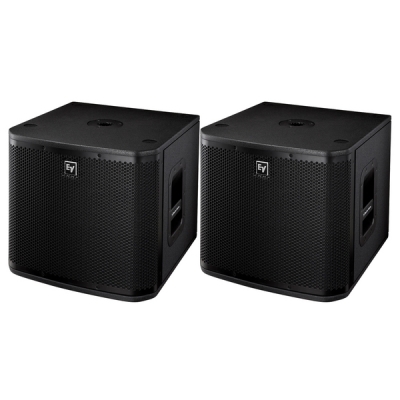 If your guest list is over 125 people and/or you are in a larger venue OR if the party is outside, we highly recommend this sound system rental. $399 delivery, set up, pick-up and training anywhere in Colorado Springs. Other areas higher, please ask for a quote. 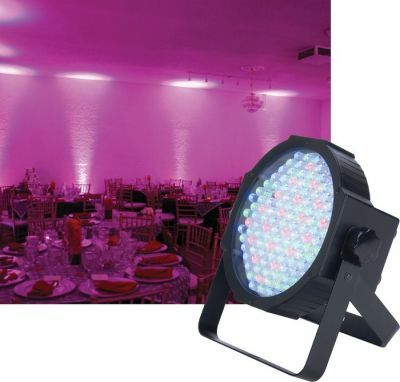 Transform your venue with uplighting​! We also have PinSpot lighting to accent cake tables, center pieces, sweetheart tables and just about anything you want to accent! Reflect on everlasting memories with our advanced 4200 lumens HD projector and screen rentals. Including these at your wedding or party is an entertaining way to make your event even more magical. All of our sound system rentals come with a wired microphone, cable and stand which you can use for toasts, announcments and speeches or anything else! 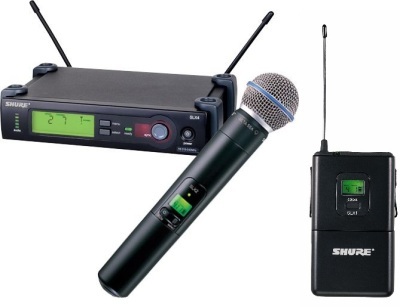 However, adding a wireless microphone gives you the flexibility to talk anywhere in the room and not be tied to a microphone cable. FEEL THE MUSIC WITH SUBWOOFERS! What are Sub-Woofers and Do I NEED one for my Party? We get asked this a LOT so don’t feel bad if you have no idea! What a Sub-woofer is: It’s all about the bass! A sub-woofer is a dedicated low-frequency speaker cabinet. It fills in the deep, rich bass that can be missing in most sound systems. Sub-woofers are designed to reproduce the deepest notes and low frequency energy in the musical spectrum. Do YOU need a Sub-woofer for your event? Yes and No or it all depends. The listening experience is always better when your sound system rental has a sub-woofer but you don’t always need one. YES, you need a sub-woofer: If you want people to dance at your wedding reception or party, then a sub-woofer is a must. Deep bass adds the emotion, the physical feeling of presence and excitement, to music. A sub-woofer not only makes the music sound better, it enables your guests to feel the music. It is what gets them tapping their foot to the music and it often physically draws them out onto the dance floor. Think about the times you have been to a concert or a club and the music sounded so good you could feel it. That is what sub-woofers do. NO, you don’t need a sub-woofer: Our sound system rental packages that don’t come with sub-woofers will be fine if you just want background music for the cocktail and dinner hour and for any toasts, speeches or announcements and your special dances. So, if you are not having a dance party, or if dancing is not going to be a big part of your event, you won’t need a sub-woofer with your sound system rental. Keep in mind that a sub-woofer will always, always, always make the music sound better. If you are not sure you need one, don’t worry. Let us know the details of your event and we can make some recommendations. Believe it or not, Narrow Gauge Sound started out as a wedding band. Seventeen years ago, many of our brides were asking us to provide sound equipment for their ceremonies. They had no experience with sound systems, didn’t know where to start looking for help, and trusted us enough to ask us to do it for them. It started with one bride, then another, then 10 more, and before we knew it we were so busy we had to divide the business and expand. How we started renting sound systems for wedding receptions and parties is very similar. Many people who contacted the band to play at their receptions were on really tight budgets. Some couldn't afford a band or a DJ but still wanted to have a fun night celebrating the biggest day of their lives. They were stuck with few options. We asked many of them "Why not rent a sound system and have a friend be your DJ?" One couple called us back and told us that they loved the idea, appreciated our help but that they could not find a system to rent that also included someone to come out and set it up. They didn’t know the first thing about how to set up or even operate a sound system and they didn’t want to learn how to do that on their wedding day. "Do you guys do that kind of thing?" At the time we didn't, but we thought "why don't we?" That's how the party side of the rental business started. 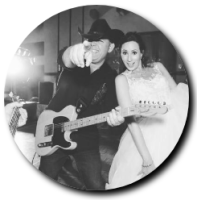 From the beginning, we have strived to provide a proven service that could guarantee an amazing wedding reception for couples with tight entertainment budgets. Our commitment to provide exceptional customer service and value has caused us to continue to expand. Today we provide sound systems for wedding ceremonies, wedding receptions, parties, special events, school dances and business meetings. If you need to rent an audio sound system for your Colorado wedding ceremony, reception, party, or special event, and you want it to be a hassle-free experience, rent with Narrow Gauge Sound. We make it easy to throw an amazing party. 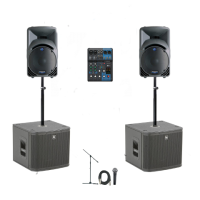 We will deliver and set up your audio sound system rental and either run it for you or train your "sound person" how to operate it. We will also pick up the system at the end of your event. All of this is included in the price of your rental, not something extra!